You know how you totally think you rock at doing laundry and then your mom tells you one day that you shouldn't use fabric softener with the moisture-wicking clothing because it ruins the entire moisture-wicking element? You thought you were a laundry rockstar because hello, you're 25 and know how to wash your dirty socks - until she told you this and you realize you've been messing up and ruining your clothes. Whoopsy-daisies. Think of this blog post like that. I am by no means a professional or even good at this whole blogging thing. But when I first started, I totally would've bought a how-to tutorial because I completely just learned as I went. I've been thinking about this post for a long time because when I finally learned about some of these things (through Google, other blogs, etc.) I was amazed; amazed at how much more difficult I was making it; amazed that people would actually want my pictures that big; amazed that people make money on this hobby. And so on. So this is a compilation of some of the things I wish someone would've just taught me in the first place. Take it for what it's worth. And if you have additional tips or questions please share in the comments below! How can I follow you in every way possible? 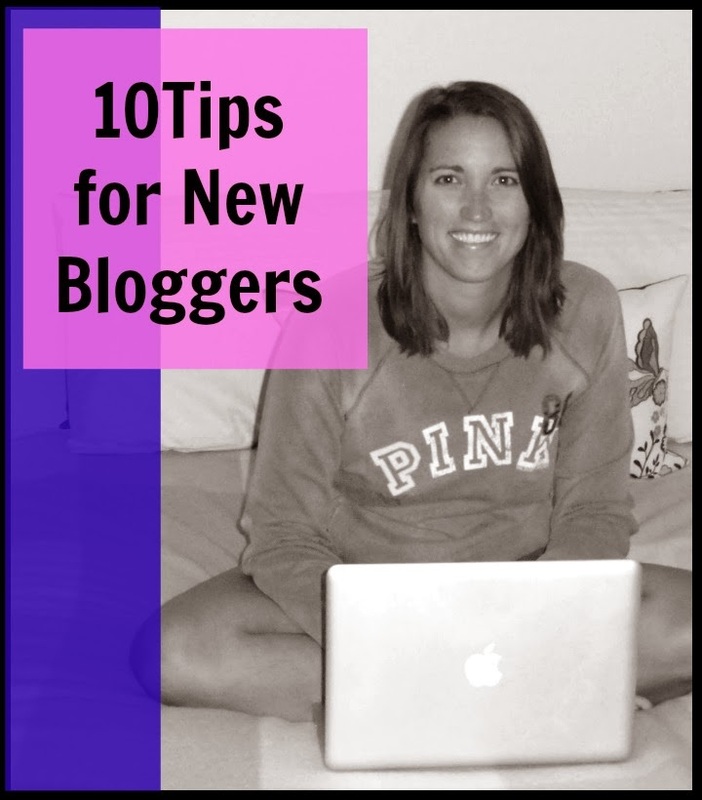 Your name and follow buttons should be at the top of your blog, easy to find, and easy to see. By follow buttons, I mean some sort of link / image / word / etc. that I can click so I can follow you on any form of social media that you use (more on this below). This is not weird or stalker-ish of me. This is just how it is. I also will most likely click on your "About Me" page next so that I can decide if we should be friends find out more about you - so make sure that's easy to find. 2. Social Media You should use different forms of social media to help you promote your blog and connect with readers and/or other bloggers. The most popular ones: Twitter, Facebook, Pinterest, and Instagram, although there are many others as well. Share links to your blog posts (see below) across these different forms of social media to promote your post among your followers. 4. Promoting your Posts [Hootsuite] I remember thinking: I'll never be able to promote my posts enough! How in the heck am I supposed to be able to tweet 5 times in a day, with my tweets spread out evenly throughout the day from 7:00 am to 7:00 pm?! I have a job, people! And, like, a life! And that is where Hootsuite comes in. Cue Hallelujah Chorus. It's seriously freaking awesome. You can add different social networks to your dashboard, create a Tweet or Facebook post, and tell Hootsuite to post it at 5:37 pm on Saturday, February 15th. I normally write a blog post, head over to Hootsuite, and schedule the times I'll promote the post via social media. Like I said, awesome. 5. Pinterest Speaking of social media, the use of Pinterest has greatly increased since I started blogging. People are using it to promote their posts, find new ideas, and save favorite ideas. Some people say that you should write one "pin-able" post each week. This might be a recipe, a diy project, tips to...blah blah blah, an outfit, and so on. 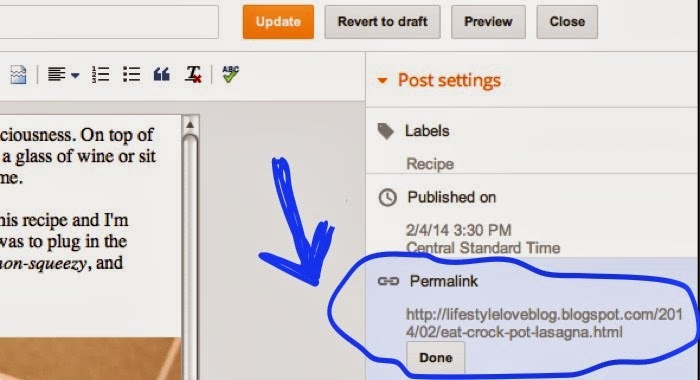 If you do share something on Pinterest that followers of yours "repin", it will greatly increase your blog pageviews. This post of mine is my most-viewed post because of Pinterest. I would recommend making a board specifically for pins from your blog. 6. Your Photos Another thing all of us readers want to see - big pictures. They should fit well in the width that is allotted for your blog posts but the bigger the better. Also, it's so much more appealing to the eye if all of your pictures are the same width. I try really hard to do this but sometimes it's darn near impossible to get a vertical picture to be the same width as a horizontal picture. That part is up to your discretion but it's something to keep in mind. Also, PicMonkey is a great online tool for editing, creating collages, cropping, and resizing photos. Social media mentions: This.is.huge. Guest Posts and Feature Posts are great so new people are almost forced to be introduced to you. Your button hanging out on a sidebar or at the bottom of a post for 30 days certainly doesn't hurt either. I know that I have gained readers from both of these sponsorship components in the past. But if the blogger you sponsor tweets about you to their 847 followers, pins your post to be seen by their 1,328 followers, or mentions you on Facebook or Instagram to their much-higher-number-than-yours followers, this does wonders. If you run across their post via their tweet and read the post on your phone, don't worry about trying to do the whole comment form on your iPhone (which tends to be time-consuming, extremely frustrating, and normally doesn't work anyway, thus making you want to throw your phone across the room). Just respond to their tweet via twitter. Something like: "@________, yum that looks so good! Reading on my phone so couldn't comment but I'll definitely try that out!" Do not use this sample tweet if it was a post about their husband, children, painting projects, or unrelated to a recipe. Buffer is awwweeeeesoooommmme. Cue Hallelujah Chorus for the second time. Basically, you can add a Buffer button to your toolbar that allows you to share (via social media) a link to the blog or blog post that you have open in that window. I use it mostly for Twitter, but you can connect multiple social media accounts. The other perk? 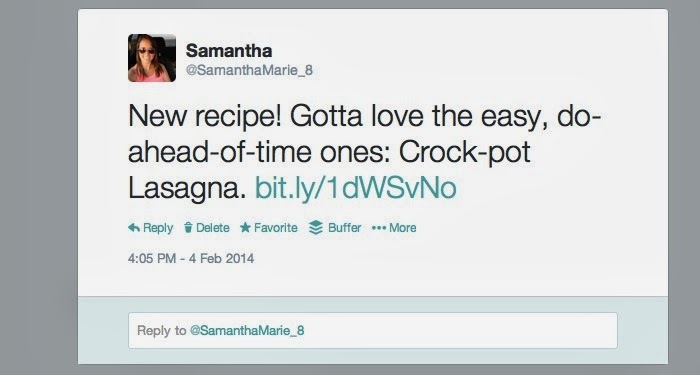 It automatically shortens your link (see an example here). 9. Ask for Help First of all, I Google everything. Every single question I have I type into my Google toolbar, click search, and 97.4% of the time it leads me somewhere that helps me. I completely made up that statistic but I bet it's pretty darn close. Secondly, e-mail somebody if you have a question - a friend, a fellow blogger, or a blogger that you've maybe never talked to before. I can think of a handful of bloggers off the top of my head that have answered a question, made me a button, or helped me with html for free. 10. Be You It's easy to say but not always so easy to do. Don't worry about the fact that someone else posts much more often than you; or that someone else has totally fashionable outfit posts that make you feel like a slob; or that someone makes such delicious meals for their family that make your spaghetti seem lame. Write for you, about things you care about, and let yourself shine through in your writing. That's what we want to feel when we read.